UPDATE: This Article Last updated on 21 October 2012. Indian Markets flooded by Android Smartphones, creating tough choice for users to pick up the good Smartphones which stands out in their budget. Before buying any Smartphone users have to do some research before buying any Smartphone. Android phones doing well in the Indian market and many telecom offer good plans for Android users. Following is the list of Best Android phones in India across different price segments. The Galaxy Note II comes with 5.5-inch HD Super AMOLED display, 1.6 GHz Quad-Core processor with 2 GB of RAM and an 8 MP rear camera and a 1.9 MP front camera. The Galaxy Note II powered by larger 3,100 mAH battery(Galaxy Note was 2500 mAh). The Galaxy Note III runs on Android 4.1 Jelly Bean and it’s available in 16, 32 and 64 GB configurations and it also supports micro SD card. Some apps are not meant for phones this size and only few apps support multi screens. The most anticipated Smartphone of 2012, Samsung Galaxy SIII has 4.8-inch HD Super AMOLED display, 1.9 MP front and 8 MP rear camera with face recognition. The Galaxy S III is powered by Android 4.0 Ice Cream Sandwich. It also features some smart software candy like S Voice, Smart Stay, S Beam etc. The best Android Smartphone available till date. HTC One X was announced at Mobile World Congress 2012 and after that the One Series ignite the worldwide market. HTC One X has 1.5 GHz Quad Core processor with an NVIDIA Tegra 3, 4.7-inch Corning Gorilla Glass, 1GB of RAM, 32 GB of Internal Memory and 8 MP dual shutter camera. HTC One X powered by Android 4.0 Ice Cream Sandwich and also comes with NFC capabilities and 25 GB of Dropbox access. The Monster phone from LG. LG Optimus 4X HD has 4.7-inches True HD-IPS LCD capacitive touchscreen, 1.5 GHz NVIDIA Tegra 3 Quad-Core Tegra 3 processor, 1 GB of RAM, 8 MP primary camera and 1.3 MP secondary camera. Optimus 4X HD is second quad-core Tegra 3 phones after HTC One X. LG Optimux 4X HD runs on Android 4.0 Ice Cream Sandwich with Optimus 3.0 UI. The best Android phone below Rs. 25,000. HTC One S is upper mid-range phone from the HTC One series and it has 1.5 GHz Dual-Core Snapdragon from Qualcomm, 4.3-inch qHD Super AMOLED display, 1GB of RAM, 32 GB of Internal Memory and 8 MP rear camera with an f/2.0 lens, 1080p HD video recording. HTC One S powered by Android 4.0 Ice Cream Sandwich and also comes with NFC capabilities and 25 GB of Dropbox access. If your budget is around 25K then you must buy this phone. The latest arrival in this category. The HTC Desire X has a 1 GHz dual-core processor, 4-inch SLCD display, 5 MP Camera with HTC ImageChip, 4 GB of Internal Storage and it runs on Android 4.0 Ice Cream Sandwich and HTC Sense UI. The good thing is that HTC Desire X comes with a removable battery and MicroSD card slot to expand storage space which were not present in One Series. I Choose this phone just becoz the phone will get Android 4.1 Jelly Bean update. Samsung Galaxy Ace Plus is the successor of popular mid-range phone Galaxy Ace. Galaxy Ace Plus comes with 3.65-inches HVGA TFT, 1GHz CPU with 512 MB RAM. It has 5 Megapixel Auto focus camera with LED Flash and powered by Android Gingerbread v2.3. HTC Desire C features, 3.5-inch HVGA display with 320×480 resolution, 4GB Internal Storage, 5 MP camera with Auto focus and it runs on Android 4.0 with latest Sense 4.0 UI. The phone has Qualcomm Snapdragon S1 600 MHz processor which is big disappoint for the ICS ready phone. I don’t how it’s able to run the ICS + Sense 4.0 UI. Anyways it has 512 MB of RAM. The phone with Beautiful user interface. HTC Explorer is mini Wildfire S but in terms UI its better than Wildfire S. The phone has 600 MHz processor, 3.2-inch display and 3 MP camera. The smartphone supports Adreno 200 GPU which lets you experience 3D gaming. The cheapest smartphone with good specs. Galaxy Y has better specs as compared to HTC Explorer, the 832 MHz processor and 160 MB Internal memory is what makes this phone outclass Explorer. But when its comes to camera, display and UI, the HTC Explorer outclass the Galaxy Y. Galaxy Y has 3.0-inch TFT Capacitive display and 2 MP camera. 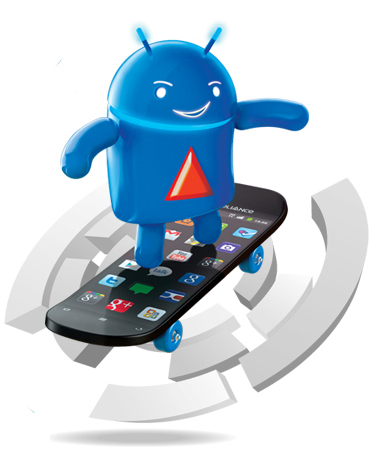 The phone runs on Android 2.3.6 Gingerbread. 2 MP camera is not enough. You’ve mentioned HTC Explorer & Samsung Galaxy Y in the small phones segment. What about SE Xperia Mini?? It does’nt feature in your list. Isn’t it comparable to the above two? And there’s no mention of any SE phones in general SE Xperia Neo V or the Xperia Ray etc. I think they’ve got good customised Android UI(Timescape) too.